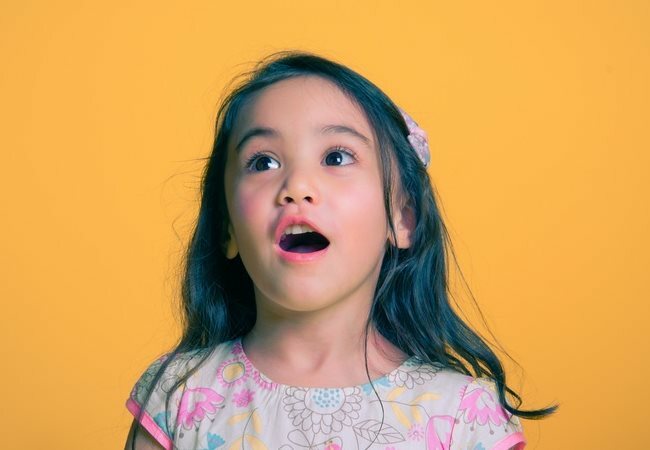 Whether they are obsessed with trains, fascinated by insects or are passionate about art, children are naturally curious about the world around them. Young minds are always ready to explore, learn and- most importantly- have fun! Children’s museums are the best places for kids to get hands-on experience with their favorite topic. There are dozens of children’s museums and learning centers for kids through New Jersey. We’ve selected the best kid’s museums to spend an educational day with your child. 1. Liberty Science Center: The Liberty Science Center is the premier interactive museum for families in New Jersey. This learning center is home to both permanent and traveling exhibits. Learn about local wildlife, explore Earth’s energy sources and get lost in the Touch Tunnel. Current traveling exhibits include Titanic: The Artifact Exhibition and Dora & Diego: Let’s Explore. This children’s museum in Northern NJ is home to the world’s largest IMAX Dome Theater. Watch breathtaking films about science, technology and nature on the 88-foot screen. The Liberty Science Center is great for families with kids and teenagers, because there are so many cool things to explore. 2. Imagine That! Museum: With over 50 unique exhibits, Imagine That! 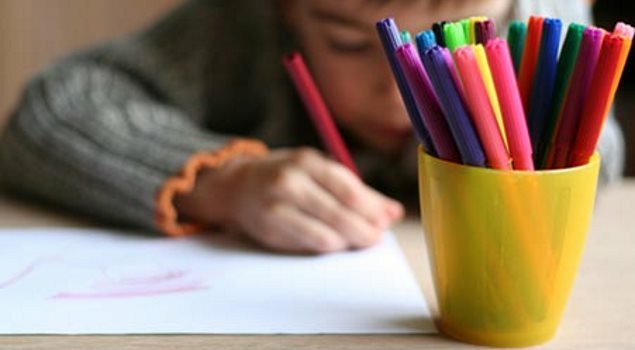 aims to provide a safe environment for children to stretch their legs – and their imagination. This NJ children’s museum is perfect for preschoolers and kindergartners. Learning through play is the best way to explore the world, and kids will be able to participate in so many hands-on activities at Imagine That! In addition to their exhibits, Imagine That! also hosts special events, such a character breakfasts and field trips. Imagine That! is also a great place to have an educational birthday party. 3. The Sterling Hill Mining Museum: Step into earth science at the Sterling Hill Mining Museum. Once home to a working industrial mine, the Sterling Hill Mining Museum is now open to the public. Kids and their families can explore the history of the mine, study geology and learn about engineering and responsible use of nonrenewable resources. 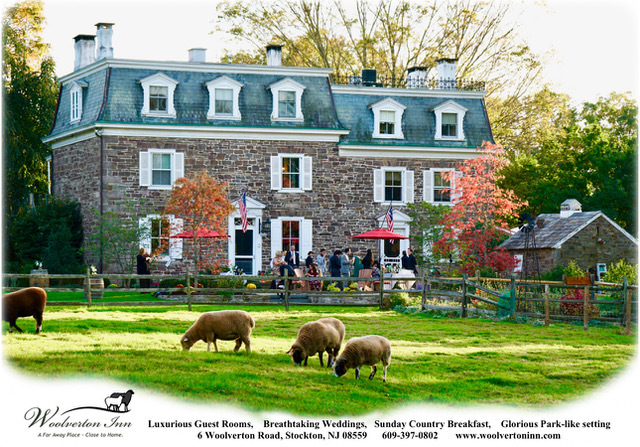 This children’s museum in Northern NJ is home to so many exciting exhibits, such as the Rock Discovery Center, the Fossil Discovery Center, the Ellis Astronomical Observatory and the Thomas S. Warren Museum of Fluorescence. Take a tour of the mine and discover an entire underground world. 4. Kidsbridge Tolerance Museum: Children’s museums don’t just have to be about science and art. The Kidsbridge Tolerance Museum is unique because it aims to empower youth and transform communities through evidenced-based character education, life skills training and bullying prevention. This Central NJ museum teaches tolerance, diversity appreciation, cultural sensitivity and youth activism. This museum features exhibits for K-12. Kidsbridge also hosts programs and events focusing on bullying, character development and youth leadership. 5. Newark Museum: The Newark Museum is New Jersey’s largest museum. They have an entire section devoted to youth and family programming. 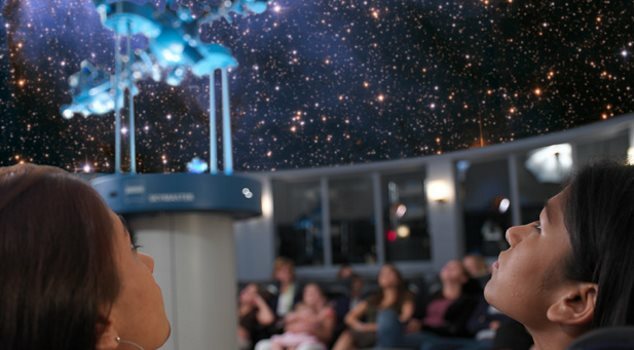 Kids love to explore the galaxy at the planetarium. Makerspace fosters a love of engineering, and Creative Play offers hands-on activities for kids ages 3-12. The interactive galleries include Look/Touch/Learn: Tibet and Dynamic Earth: Revealing Nature’s Secrets. One of the coolest things about this NJ children’s museum is Camp Newark Museum, a six-week summer camp where kids ages 3-14 can participate in hands-on educational activities. 6. Garden State Discovery Museum: One of the largest attractions in Southern NJ, The Garden State Discovery Museum is the best children’s museum for educational family fun. Celebrate imagination for children ages infant to 10 years old. There are diverse exhibits for children to explore. Kids love to explore the Wildlife Area, Under Construction, Vet and Pet and Storybook Castle. This NJ kid’s museum also hosts regular discovery workshops for all grade levels that meet NJ Common Core standards. For a unique party idea, have the Ultimate Sleepover Party at the Garden State Discovery Museum. 7. The Ripley’s Believe It or Not! Museum: Atlantic City isn’t just for mom and dad. If you need a break from the casinos and nightlife, take the entire family to the Ripley’s Believe it or Not! Museum. Visit the Odditorium, which is filled with strange and bizarre exhibits from around the globe. Kids will also love the Vault Laser Maze Challenge, where kids can twist and turn through a maze filled with laser beams, just like a spy! The Ripley’s Believe it or Not Museum! 8. The Jersey Shore Children’s Museum: This hands-on children’s discovery center in Southern NJ is dedicated to stimulating curiosity in science, technology, history and culture. Children can explore over a dozen interactive exhibits, such as Peak into Space, Catch of the Day, Dino Dig and more! This NJ children’s museum always hosts fun and educational events, such as Reading Role Models, Mad About Math, and Growing Up With Science. Come visit on Saturday afternoons for theme parties! 9. World of Wings: Enter the wonderful World of Wings! This is a mesmerizing museum of where children can learn about animals, insects and nature. 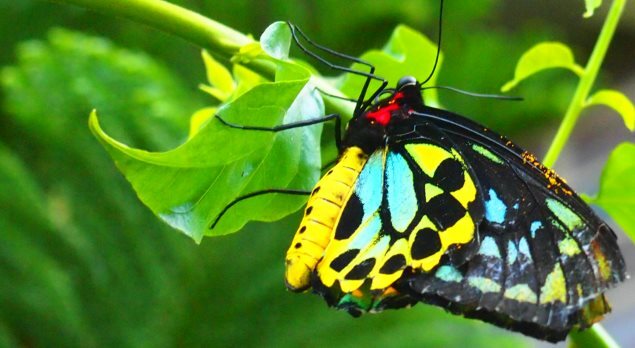 Tour the Butterfly Atrium and experience a tropical oasis filled with flowers, waterfalls and, of course, beautiful living butterflies. Other exhibits give children the chance to see insects and reptiles, too! There is even more to do at this kid’s museum in Northern NJ. The Illusion room is a space designed to trick the eye with optical illusions, so watch where you’re going! A visit to the Bubble Room is like a trip to the depths of the ocean. For extra fun, check out the bounce room, complete with a moon bounce and an inflatable slide! 10.Monmouth Museum: The Monmouth Museum emphasizes ideas, inspiration and imagination; as well as a commitment for creative expression and life-long learning. The Becker Children’s wing is designed to be a learning environment where kids can interactively engage with numerous hands-on activities. Learn about the weather, travel to ancient Egypt, and blast off to outer space at this Central NJ children’s museum. The Monmouth Museum also has a Wonder Wing for little scholars under the age of 6. 11. Whippany Railway Museum: Since 1965, the Whippany Railway Museum has been preserving New Jersey’s railroad history. The museum is home to both outdoor and indoor displays. The exterior exhibits features authentic railroad equipment from the early 1900s. The museum displays artifacts, models and photographs from old-time New Jersey railroads. Kids who love trains will love this children’s museum. 12. Insectropolis: Crawl into New Jersey’s only “bugseum!” Explore the fascinating world of bugs in this insect city. View thousands of creatures from around the world as you explore the different exhibits in this unique kid’s museum. 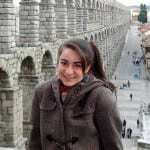 Study at Bug University, travel with the Hive Airport and tune into WBUG Radio. Kids who love creepy crawly creatures will love this museum. 13. 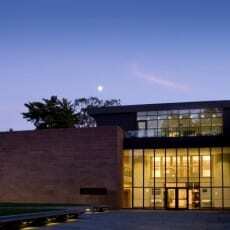 Morris Museum: The Morris Museum boasts being Morris County, NJ’s epicenter for art, science, culture and history. With over 40,000 diverse pieces in their collection, this museum is filled with educational experiences for adults and children. The Morris Museum is devoted to educating children and their families. They have several programs designed specifically for young museum goers. This museum features studio art courses for children and teens. Children ages 2-5 can participate in Tot Tours on select Fridays of every month for an educational and enriching experience. The Morris Museum is also home to the Bickford Theatre, which regularly hosts children’s shows. 14. Hunterdon Art Museum: Children often develop a passion for art early. The Hunterdon Art Museum not only offers beautiful art exhibits, but opportunities to learn, create and design. They offer art classes for children ages 4-15. Young artists are exposed to painting, drawing, clay and mixed media. Older kids and teens can learn about glass fusing, robotics, anime and comic drawing. Children and their families can participate in hands-on art appreciation workshops, which will foster a life-long love of art and culture. 15. Jersey Explorer Children’s Museum: You don’t even have to leave New Jersey to explore the world! Visit the New Jersey Explorer Children’s Museum in East Orange, NJ to experience their fun and exciting exhibits. Travel to ancient Egypt, help on the Underground Railroad and soar into space at this adventurous NJ children’s museum. This children’s museum is staffed by the energetic and dynamic members of the New Jersey Youth Corps. Spend the next rainy day having an educational adventure. 16. The Franklin Mineral Museum and Nature Center: Learn about mineral science at this kid-friendly museum. They have over 4,000 mineral displays, including the mesmerizing fluorescent room. There is also a life-size mine replica to show the mining methods used in the Franklin mines. Children will enjoy learning in “nature’s classroom” at this Sussex County, NJ museum. Whenever kids say “I’m bored,” this is the perfect opportunity to show them the exciting and interesting things our world has to offer. Children’s museums help encourage kids to love learning at an early age. Who wouldn’t want to visit a museum where they are encouraged to touch and play with the exhibits? Whether you are looking for a rainy day activity or an educational adventure, check out our guide to NJ children’s museums. For adults looking for culture in New Jersey, see our complete list of museums. 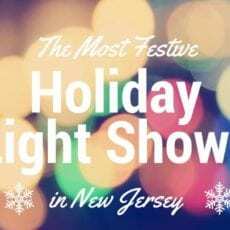 Looking for a unique NJ souvenir? 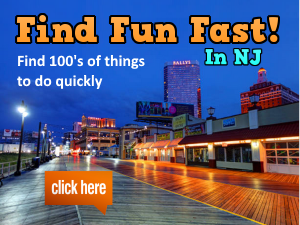 Check out Fun New Jersey’s new gift shop! Find jewelry, apparel, home decor, and more! Want more indoor museums, art, and learning in NJ? Take a look at our definitive list of 182 rainy-day activities in New Jersey. Very informative blog. Thank you for sharing it. Really kids are very much interested to see and learn new things. Just like my son is also very much interested for drawing and painting. So last week I took his admission into Euro Art Studio which locates & serves for teens between 4-17 throughout the New Jersey, USA. It offers Art classes for children and teens in a wide range of mediums and by a certified Art teacher as well as working artist. I think this is a best platform for him to show his talent.